Time for Spring cleaning & organizing! Let’s start in the garage. 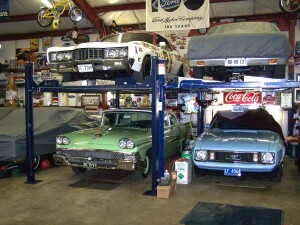 Does keeping your garage or shop organized seem like a difficult task? 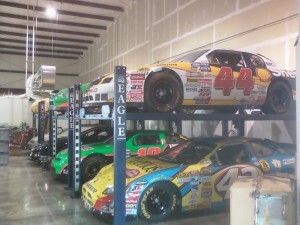 If you’re tired of rearranging your garage, and still can’t seem to gain any space …. we have a great storage solution for you. Go vertical! 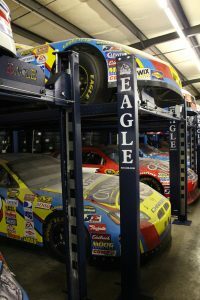 The Eagle MS-8000 series is a four-post storage car lift. 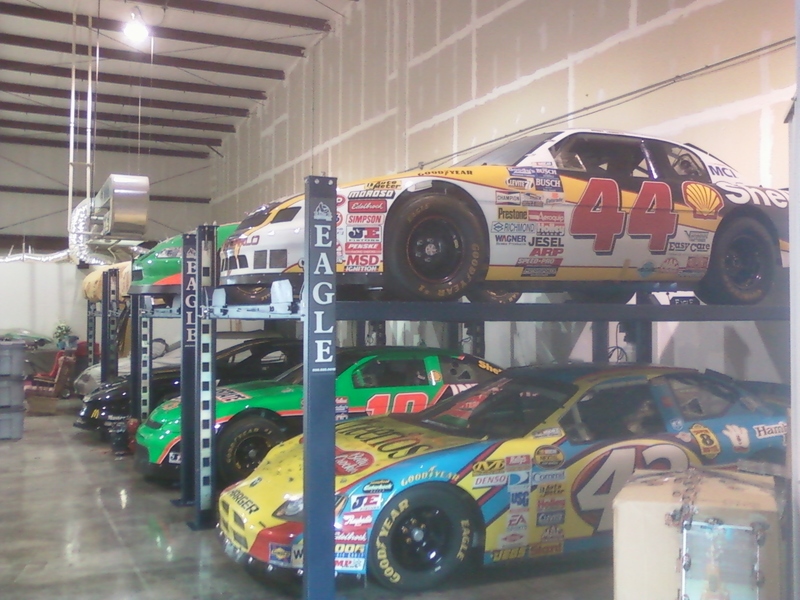 It’s one of our most popular storage car lift models because it is great for many different types of uses, from home garages and professional shops to car collectors or race teams. Store a car on the top and use the bottom for another car, or a workspace. It comes as a standard model (the MS-8000), or the XLT model (MS-8000XLT) which is taller, longer and wider for bigger vehicles. 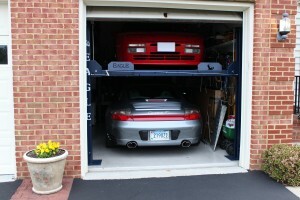 Want to know if a storage lift will fit in your garage? We can help with that too! 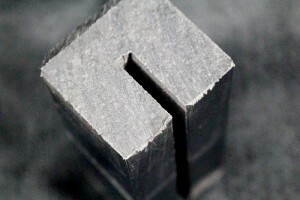 As with every Eagle product, safety and durability are our chief concerns. The MS-8000 storage car lift series comes with a redundant ladder lock system that has an “auto engage” locking bar. 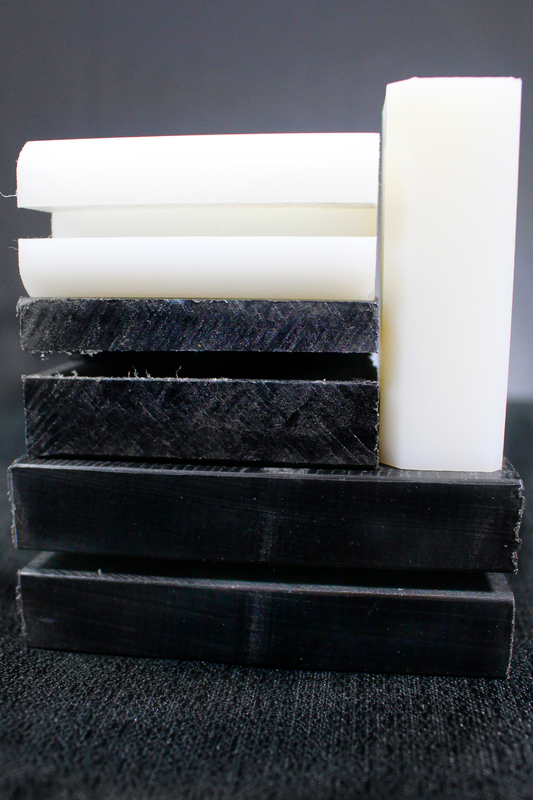 The large slider blocks add stability and the cables are aircraft quality, rated at 14,500 lbs. The MS-8000 offers plenty of muscle for hard-working garages. Plus, we’ll include a premium accessory kit (aluminum ramps, casters, drip trays and jack tray) for free! Here’s what you need to know about the MS-8000’s. Visit us online to see more information and to order your MS-8000! Posted on May 5, 2016 January 11, 2019 Categories Eagle Equipment, Storage Car LiftsTags 4-post, four post, storage car liftLeave a comment on Time for Spring cleaning & organizing! Let’s start in the garage. . . . . I wish I bought it years earlier! It makes our day when we get an email like the one below. Seven years later, and we get reminded on how much what we do affects people’s everyday lives. Thanks for the email Pete, we wish you many more years of ‘tinkering’. Just a note to say: Thanks or such a useful product. It was the Spring of 2007 when I drove to your business and bought my four-post storage/service lift. So far I have used it to keep my kid’s cars running through their high school and college years. After that, I used it to always have a project car or two around to tinker on. I now am helping my daughter with some much needed maintenance and repairs to her “new-to-her” car. It’s been great having the lift in the garage available for so many money-saving automotive projects. Only regret I have is . . . . I wish I had bought it years earlier! 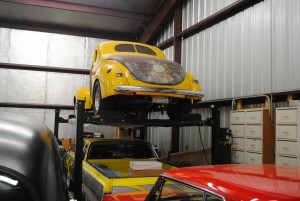 Posted on May 25, 2013 June 15, 2018 Categories Car Lift, Eagle Equipment, Eagle Lift, TestimonialsTags 4-post, Car Lift, Eagle Equipment, Eagle Equipment Lift, four post, http://www.eagleequip.com/automotive-shop-equipment/alignment-lifts.html, lift, residential lift, Service Lift, Storage Lift, vehicle storage liftLeave a comment on . . . . I wish I bought it years earlier! 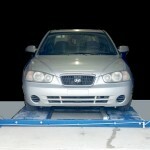 If you own a mechanic shop or you like to do work on your own vehicles, you might be in the market for a car lift. 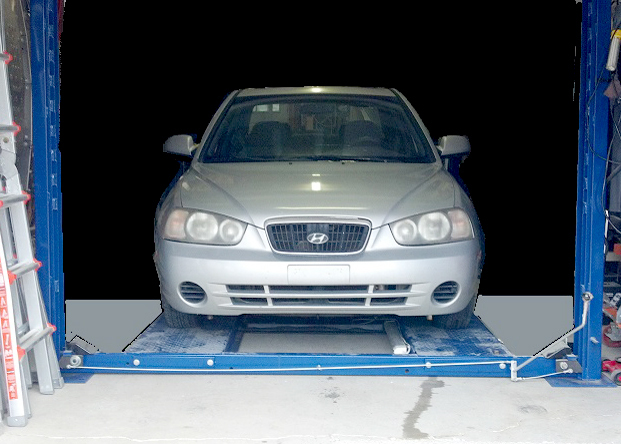 Car lifts make performing routine and complicated maintenance much easier because you do not have to get down on the ground or under the car. There are several different types of lifts, but the most popular are the 2- and 4-post lifts. At Eagle Equipment, we carry both. 4-post lifts are more suitable for vehicle storage, and 2-post lifts are a lot better for major reconstruction and mechanical repairs. Realize which projects are easier when you own a 2-post lift and make the right investment. 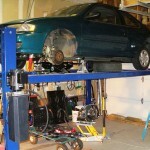 Below, find four common repairs that can be done more efficiently with a 2-post automotive lift. If the full frame is under the body of the car and you are working on the engine, a 2-post application will make it easy for you to lift the car up off of the engine and the suspension sub frames. This makes the job less involved and complicated. 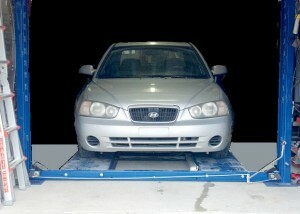 Hoisting the car off of the ground with a 2-post application will also make for easier transmission repairs. They will provide easy access to the transmission from the undercarriage of the vehicle and will prevent causing damage to other vehicle components you would have to bypass when working under the hood. 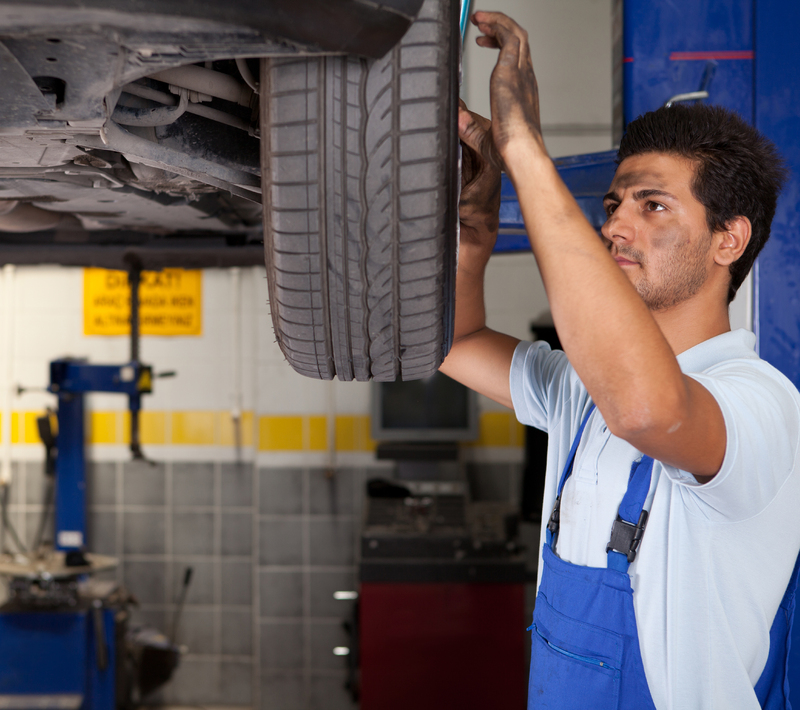 When you are doing tire rotations you need all of the wheels to be off of the ground. These lifts are far more convenient then using a car jack and will prevent errors and injuries when you are rotating tires. 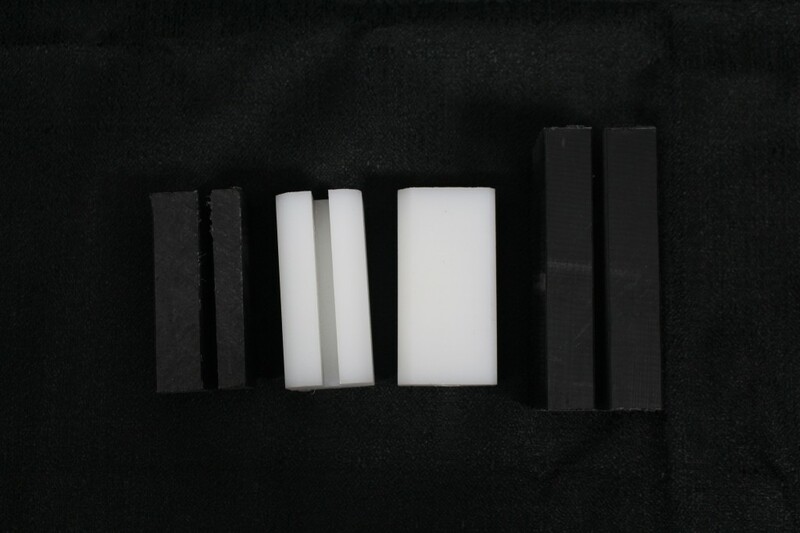 It will take less time to complete this type of project. Using a car jack can be dangerous because it can easily slip while you are working under the vehicle. 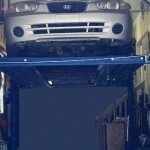 If you do not want to get dirty while you are doing an oil change, a car lift is the answer. These lifts will give you easy access to the oil pan so you can perform oil changes in less time. Working on difficult projects or even routine tasks is much easier when you have the right equipment, so it’s time to invest in an automotive lift! You can keep your customers satisfied and get your home projects done quickly so you can enjoy your free time. 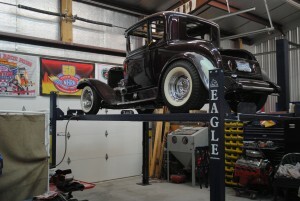 Shop Eagle Equipment Lifts now.